This site is growing out of my love of Norfolk. Norfolk UK that is. Considered a newcomer, and very definitely still a newcomer 20 years on (but I’m working on it, I only need about another 3 generations below me to become established in the county!!) it dawned on me not long ago that Norfolk actually has a massive amount to offer - not just to the visitors, but to the people who live and work in this wonderful county too. My name is Suzy Watson. And as is often the case, when you live somewhere, you don’t tend to visit the local sights. Why, I don’t know, but it always seems the grass is greener on the other side. Not so with Norfolk! This site has a personal slant on Norfolk with honest opinions of what I feel. Every place I write about I have walked on, visited, been inspired, or just been intrigued by. 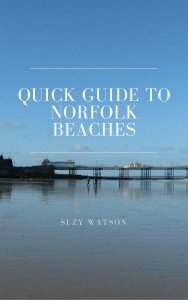 Norfolk throws up so many mysteries (the pill boxes on the beaches), historical stories (the stately homes and castle ruins), the magnificent landscapes which artists love (the beaches and nature reserves), and so much more. Walking in Norfolk is a very popular activity with a whole host of fascinating and beautiful paths, circular walks, walks around historic houses, as well as the two national trails of the Peddars Way and Norfolk Coast Path. 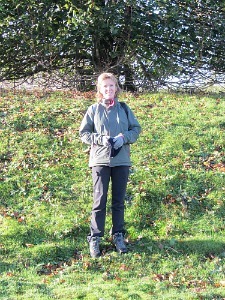 Having walked parts of these paths on numerous occasions as well as having walked both the long distance trails, I realised just what Explore Norfolk UK could offer you in the way of Norfolk Walking Holidays. So, as well as living in Norfolk and loving the countryside, I also give you the opportunity to book a Norfolk walking holiday through Explore Norfolk UK, a truly Norfolk business. I still have so many stories to add here, I can’t wait to get writing – and I hope you enjoy the reading and venturing out to visit some of these amazingly wonderful places that Norfolk has on offer.